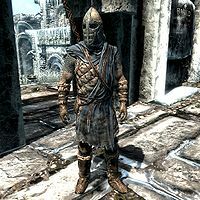 Windhelm Guards are guards who act as the military and police force of Windhelm. These guards serve under Jarl Ulfric Stormcloak. Should the Imperial forces gain control of Windhelm, they will be replaced by Imperial guards under the service of Jarl Brunwulf Free-Winter. This page was last modified on 26 November 2016, at 04:23.